Rain gutters from more traditional times. 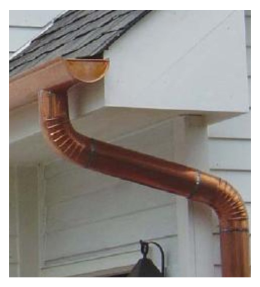 Half round rain gutters enhance the exterior of the home while protecting your investment. Available in over twenty colors as well as copper, aluminum, galvanized, lead coated copper, copper penny aluminum, galvalume and Copper Plus. 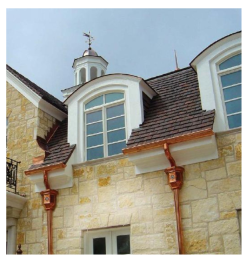 Contact us for custom sizes, metals, shapes or apron rain gutters. 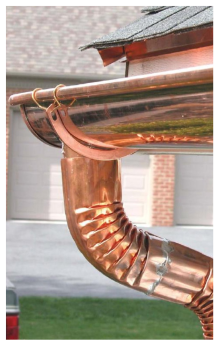 Half-rounds are generating full profits for gutter installers who install the products on upscale homes.Copper Gutters Now half-round gutters also are coming into their own as a seamless aluminum alternative for moderately priced residences. “Today you can get aluminum half-round gutters in as many color choices as K-style gutters, so mid-range homes can have the upscale look of half-round gutters,” explains Mike Milliman, co-owner of RainTrade Corporation, a national gutter supply company based in Lake Bluff, Ill. In a competitive housing market, anything that distinguishes one new home from another can be an advantage for developers. “With all the colors now available for half-round gutters, it gives builders and homeowners another option,” says Ben Bell, national sales manager for Gutter Suppliers, an Atlanta firm that supplies residential and commercial contractors. 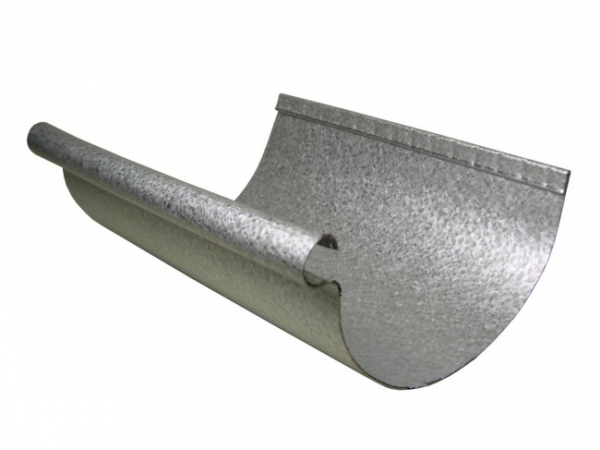 One factor driving the emergence of half-round gutters into the mid-range housing market is the introduction of half-rounds in which a lip or “bead” is rolled inward. Historically the bead has been rolled outward so that the gutter trough can sit in a semicircular wrap-around hanger. Outward-rolling beads are therefore favored on historic residences and on new upscale homes that emulate a traditional look. “But in the last five years,” says Milliman, “seamless gutters with reverse (inward-rolling) beads have come on the market. 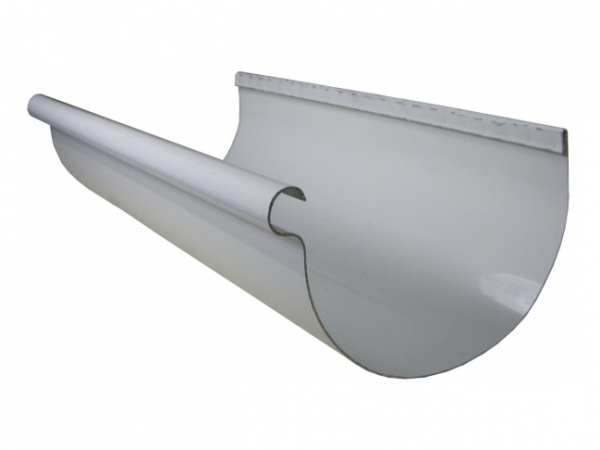 So installers can use hidden hangers to put up the gutter, like they do with K-style gutters. Also, the reverse bead means the coil only needs to be painted on one side, since the back side of the coil isn’t exposed.” By contrast, with an outside bead the backside of the coil is “rolled outward where people can see it, and so the metal would have to be colored on both sides,” he adds. 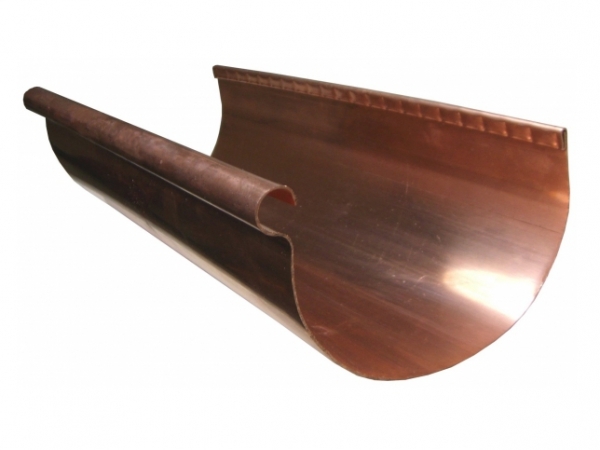 Of course, traditional copper half-round gutters avoid the problem altogether since the metal is not painted on either side. 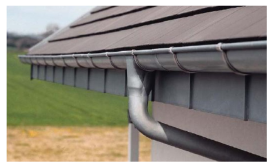 Nevertheless, the primary market for half-round gutters remains upscale residences. 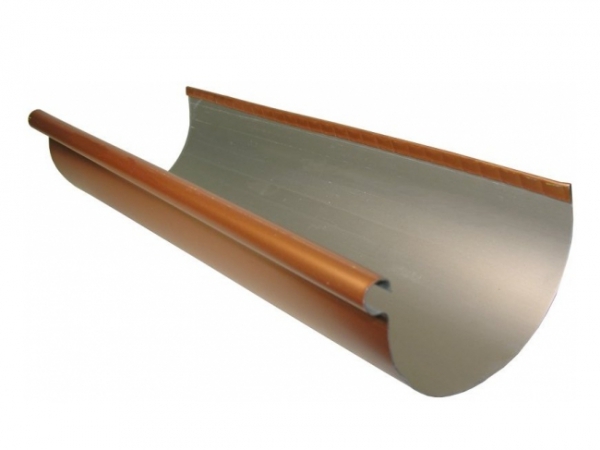 “Our installed price for an aluminum gutter is about $2.50 to $3 per foot, compared to $18 to $20 for copper half-round gutters,” says Richard Green, president of Retro Design Inc., Murray, Utah, a manufacturer and distributor of roofing and gutter products. Green affirms that half-round gutter machines cost between $30,000 and $35,000, in large part because “the half-round machines only serve about 10 percent of the gutter market; the other 90 percent of the market is K-style gutters.” Yet local market shares for half-round gutters can vary significantly by region. 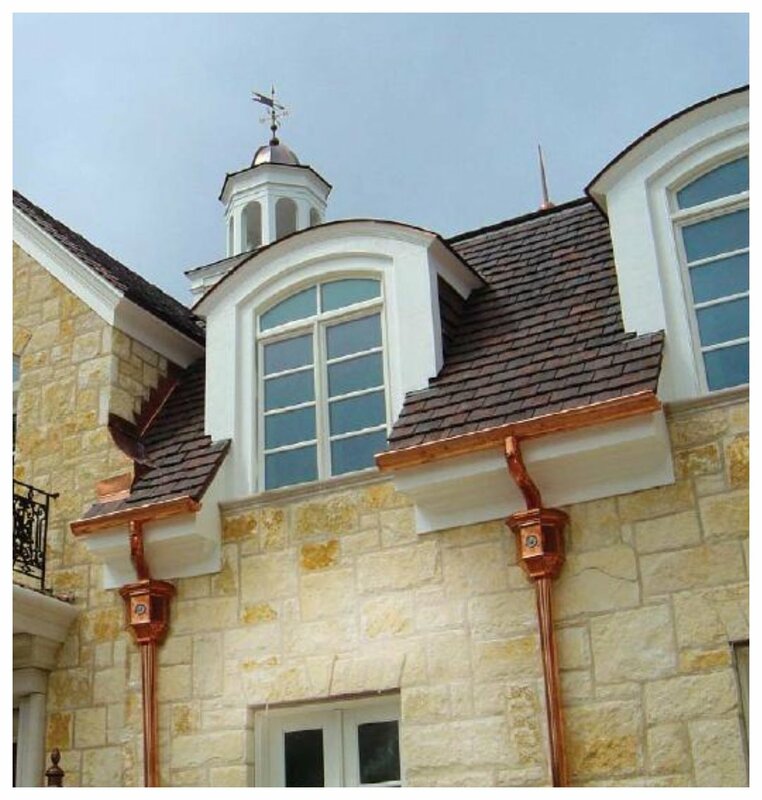 From its Utah base, Retro Design is involved with custom homes in upscale resort areas such as Sun Valley and Park City, where copper half-round gutters are favored. “One of the beauties of half-round gutters is that they match almost any style of architecture, from historic to modern,” Green continues. Even though half-rounds are only 10 percent of the national market, he adds, the gutters are an upscale product and so an array of decorative accessories is available. Yet at RHEINZINK America, a distributor of zinc-based roofing and gutter products based in Cambridge, Mass., national applications training manager Kevin Wohlert adds another perspective. With K-style gutters, flowing water spreads out to the square edges of the trough. “But with a half-round gutter,” he explains, “you have a rounded trough and so the water flows to the bottom point of the trough.